Kinji Akagawa exudes happiness. He and his wife live near the St. Croix River, just north of Afton State Park. They've built an addition onto their house so that they each have large studios in which to work. 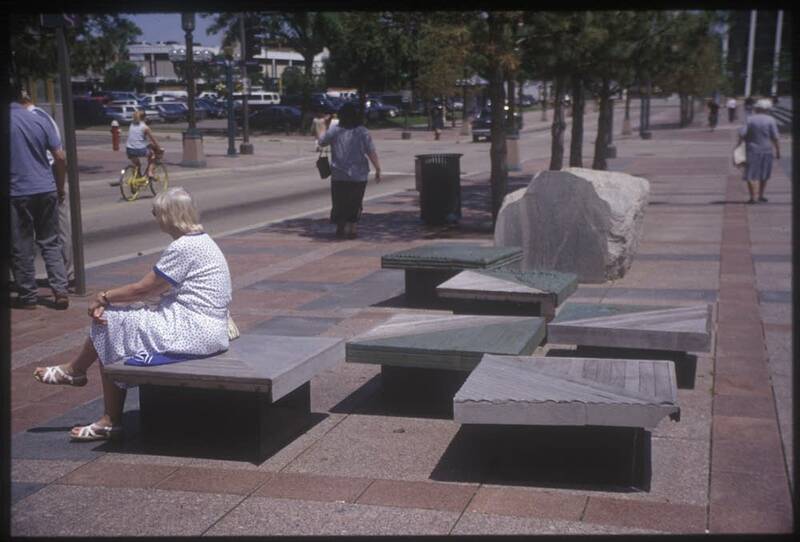 Akagawa is known best for his benches -- large pieces made from local stone and wood that can be found in the Walker Sculpture Garden and on Nicollet Mall. But there are no such benches on his own property. 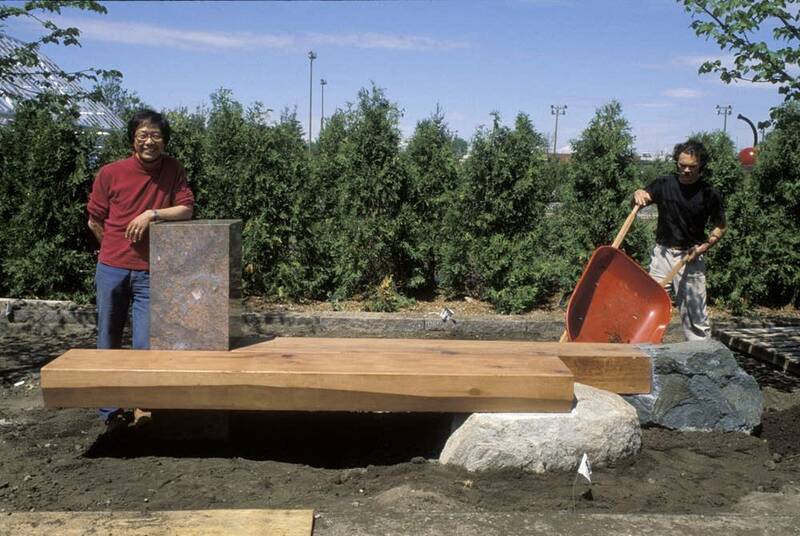 "I make these benches for people to sit and reflect, but meanwhile I'm working," Akagawa shook his head and laughed. "People tell me, Kinji, you don't sit down very much!" Akagawa's studio is filled with tools, new and old. One wall is hung with a collection of antique wood planes. 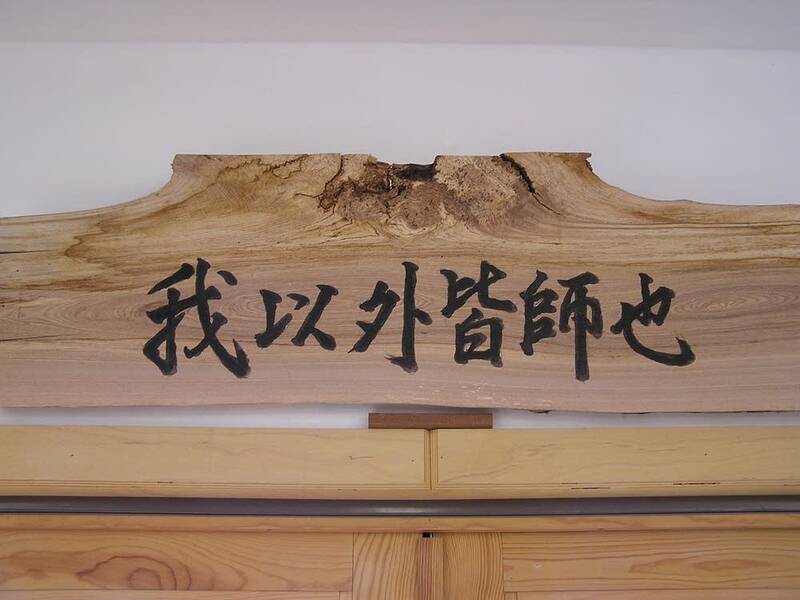 Akagawa calls it his energy source, a reminder of the long history of woodworking and carving, and all those who have preceded him at his craft. Akagawa is wearing a bandage on his stunted left pinky. The finger also serves as a reminder for him to be careful. "I was using that joiner," Akagawa gestured. "I just tried to move the guard and it went 'pung.' I lost a knuckle. But I have 10, so it's no big deal -- just one!" 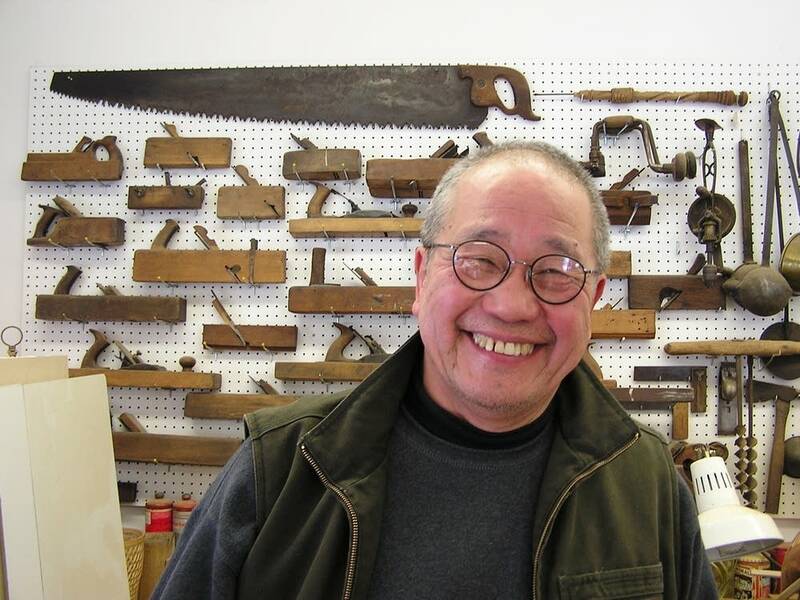 Akagawa's hearty laugh and carefree attitude are emblematic of what makes him so popular with his students at the Minneapolis College of Art and Design. After 40 years of teaching, Akagawa recognizes he has limited years left to use his nine good fingers to work on his own projects. That's why he's decided to retire. If you ask his friends or former students about his retirement, they just laugh. Artist Seitu Jones became close with Akagawa in the early 1980s when they both lived in an artist co-op in St. Paul. Jones says he never took a class from Akagawa, but he still calls him "master teacher." "Because he is always teaching," said Jones. "And not just some arcane art term or idea or concept. Kinji has always been wise and always giving, and so he taught folks really how to live." Jones says Kinji Akagawa treats life as art, and that's reflected in how he raised his children, how he prepares a meal and how he teaches. Former student and now colleague Cheryle Melander praises Akagawa for creating a trusting environment in the classroom, which enabled students to take risks. "He always had the position of 'student' with his students," said Melander. "He did not have a superior attitude, he never made you feel that your investigations were less important or not valid or somehow inferior. They were always important." Melander says Akagawa inspired students to not only do their best work, but to be their best selves. Kinji Akagawa says he does not distinguish between artists and non-artists. He says we are all aesthetic beings. Akagawa was born and raised in Japan, where there is no class division between fine art and craft. As a young man in Tokyo, he worked as a house boy to an Episcopalian priest named Father Richard Merritt. Merritt's home was a stopoff for many missionaries on their way to and from various assignments. Akagawa says there was always some sort of heated debate going on, which he loved. "So [Merritt is] my intellectual father," said Akagawa. "I tell my students I have two fathers; one is biological and one is intellectual. I love both of them." 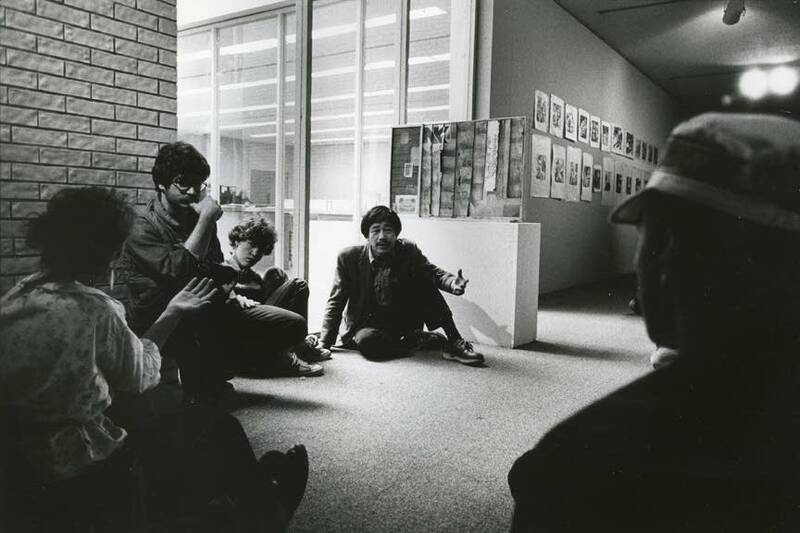 Merritt sponsored Akagawa's education at Cranbrook Academy of Art in Michigan. Perhaps it's the kindness and generosity Akagawa has been shown in his life that has led him, in turn, to be so generous to others. Even as MCAD has attempted to pay tribute to their teacher, he has continually turned it around. "We had first asked Kinji to do an exhibition of his work; most artists want to be highlighted as an artist," said MCAD gallery director Kristin Makholm. "Kinji's first thought was, 'No, I don't want the college to show my work, I want the college to show my students' work.'" The result is an expansive exhibition with works by more than 150 artists, including painting, video, sculpture and decorative arts. Makholm says it's indicative of Akagawa's far-reaching influence. 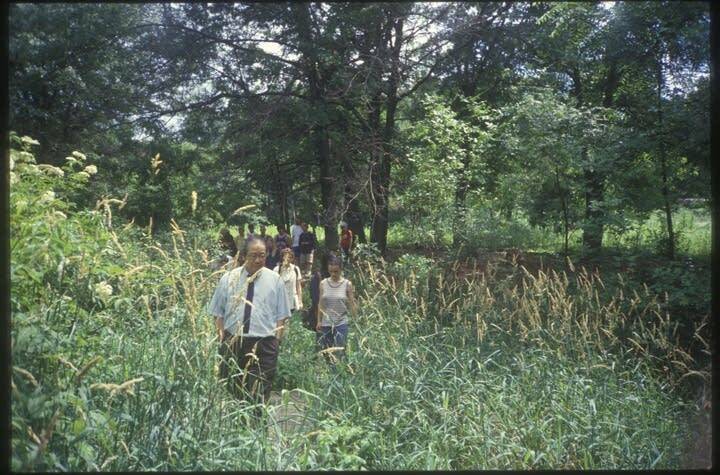 This Saturday the school is hosting a tribute to Akagawa at the Mill City Museum in Minneapolis. 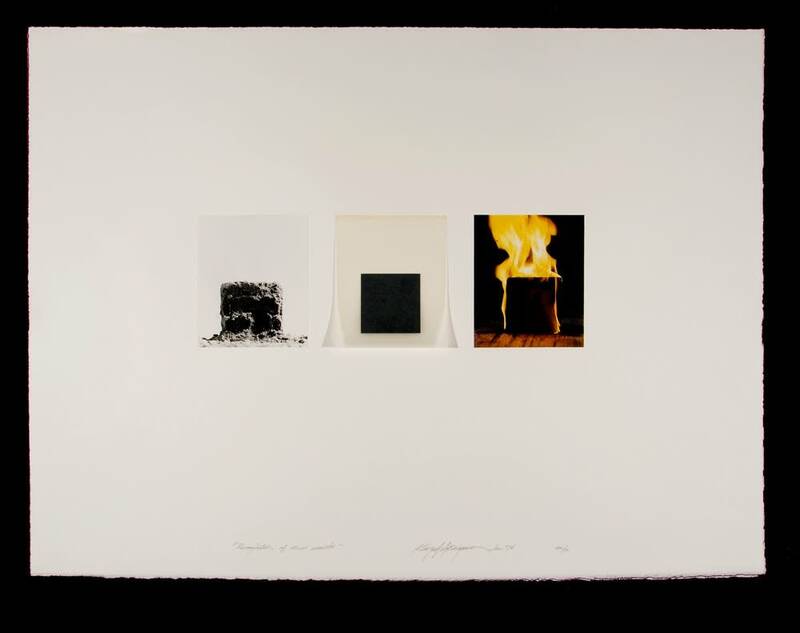 All proceeds from the benefit and the accompanying art auction will go to the Kinji Akagawa Fund for Interdisciplinary Studies.